Matthew P. Prosseda - The Kafafian Group, Inc.
Matt joined The Kafafian Group in July of 2018 and is a leader in our Management Advisory, Process/ Profit Improvement and Strategy practice. His role is to bring objectivity to help bankers improve outcomes for all their stakeholders. Matt has been a community banker, working in sales, operations and management for 35 years. Most recently he was president and CEO of a high-performing community bank located in North Central Pennsylvania. Matt started his career in credit and commercial lending, working for 25 years in loan and business service sales and sales management and eventually directing policy and developing strategies to grow profitable lending portfolios on a bank-wide basis. With a stint as COO, Matt led process improvement initiatives throughout the bank, including acquisition integration and core process conversion. While CEO he oversaw and directed all aspects of the independent community bank. He has extensive experience in business development, expense reduction, streamlining bank-wide processes and procedures, and implementing comprehensive risk management programs. Matt earned a BA in Economics from Penn State University and an MBA from University of Massachusetts – Amherst. 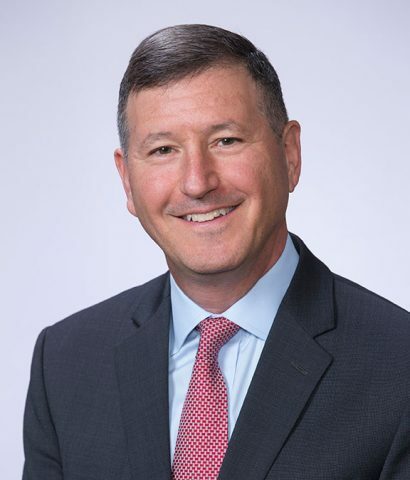 He attended the Graduate School of Banking at Colorado University, the Graduate School of Commercial Lending at Oklahoma University and the Central Atlantic School of Commercial Lending at Bucknell University. Matt has volunteered his time for the benefit of the banking industry as a PA Bankers Association Board Member and as a member of the Federal Reserve Bank of Philadelphia Community Depository Institution Advisory Council. He also has volunteered extensively in the community, including serving on the boards of local economic development organizations, Boy Scouts, YMCA, the local library and various civic associations. An avid cyclist, Matt and his wife Cindy live in Bethlehem and love to travel and entertain. Read what Matthew has written or where he's been mentioned. Build or Buy: Develop Staff or Buy Off of the Street? Hear podcasts where Matthew has offered his insight.